And the military-themed streak continues! 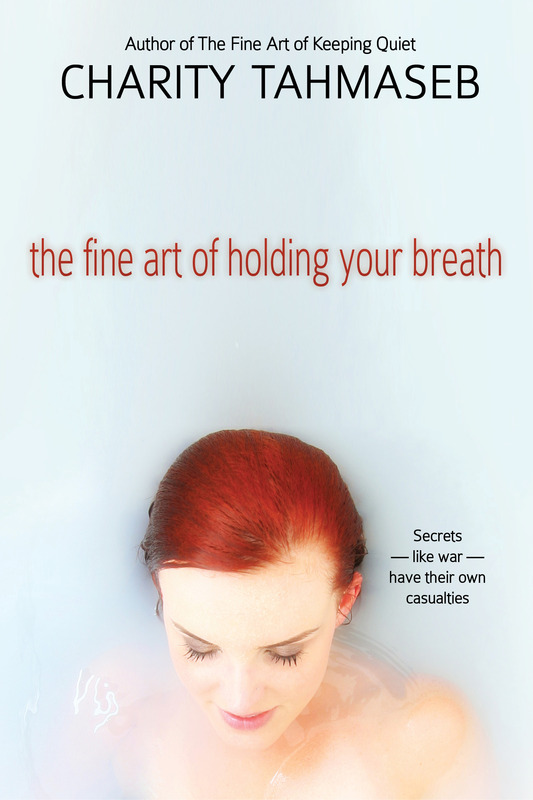 This week, you can download my young adult novel, The Fine Art of Holding Your Breath, for just 99 cents. But hurry! It’s only going to be 99 cents for a few more days. Secrets—like war—have their own casualties. MacKenna’s mother died when MacKenna was a baby, a casualty of the first Gulf War. Now seventeen, MacKenna has spent her life navigating the minefield of her dad’s moods, certain of one thing: she is destined to follow in her mother’s combat boots. But when she pursues an ROTC scholarship, she finds herself at war before even enlisting. Her father forbids her from joining the military, inexplicable considering he’d raised her to be a “warrior princess.” MacKenna turns to her grandmother—who arms her with an ammo crate containing her mother’s personal effects from the war. Hidden in the crate’s false bottom is a journal, one her mom stashed there hours before her death. While MacKenna untangles the secrets of her parents’ tragic love story, her own life unravels. Dad’s behavior becomes erratic, her best friend grows distant and even hostile, and a boy from her past returns—with a life-threatening secret of his own. If ever a girl needed her mother, it’s now. The pen might be mightier than the sword, but are a mother’s words strong enough to slice through years of hidden pain? Can those words reach through the battlefields of the past to change MacKenna’s future? Memorial Day 2015 Charity Challenge: Gone, but Not Forgotten! During Memorial Day week, from the 22nd to 29th of May, more than 70 veteran authors will pledge 100% of their book royalties to their favorite charities. Once again, I will be participating in the Vets Give Back charity challenge, this time for Memorial Day. My organization of choice is Helping Paws, a local organization that has a pilot program to provide veterans with service dogs. I am pledging $100 as a baseline PLUS all royalties I earn for the week. While I will donate all royalties, my pledge book is The Fine Art of Holding Your Breath because of its military theme. MacKenna’s mother died when she was a baby, a casualty of the first Gulf War. Now seventeen, MacKenna has spent her life navigating the minefield of her dad’s moods, certain of one thing: she is destined to follow in her mother’s combat boots. But when she pursues an ROTC scholarship, she finds herself at war before even enlisting. Be sure to check out all the books on the challenge site. There is something for everyone. And if you’re a subscriber to Kindle Unlimited, you can even give for free by borrowing many of the authors’ books. So you can donate and grow your to-be-read pile all at once! Happy reading and thank you! So, now it’s here, or rather, now it’s official. It’s in the wild and will do whatever it is that it’s going to do out there. Currently, it’s available in Kindle and Print (and if you buy the print version, you can get the Kindle one for free). Her father forbids her from joining the military, inexplicable considering he’d raised her to be a “warrior princess.” MacKenna turns to her grandmother–who arms her with an ammo crate containing her mother’s personal effects from the war. Hidden in the crate’s false bottom is a journal, one her mom stashed there hours before her death. While MacKenna untangles the secrets of her parents’ tragic love story, her own life unravels. Dad’s behavior becomes erratic, her best friend grows distant and even hostile, and a boy from her past returns–with a life-threatening secret of his own. Giveaway ends January 28, 2015. My submission tracker is looking mighty thin these days. That being said, I have made fifty submissions so far this year, so that’s not exactly slacking. As I mentioned in last week’s post, I concentrating more on longer works or ones that don’t quite fit with the short story market, and I will find other ways to send them off into the world. Still, I’d love to get a few more submissions out this year, and I have a couple of stories that need a once-over before I send them out the door. In other news, Proud to Be: Writing by American Warriors, Volume 3 is out. It’s in paperback only. I wish they’d publish an electronic version as well (I bet they’d sell more copies that way). Looking at my writing this week, I realized that I’m 14,000 words away from 250,000 words written this year. New goal! Dare I add a stretch goal of 300,000 words? Maybe … maybe I will. Veteran’s Day 2014 Charity Challenge: Gone, but Not Forgotten! Today’s the day! You can read more about the challenge below and follow the link to see all the books available. Get a jump on your holiday shopping! Below are the links for The Fine Art of Keeping Quiet. I’m donating royalties from all sales, print, e-book, and audio, so buy early, buy often. I will be donating to Veterans in the Arts, a local organization. Plus, if you buy the print version via Amazon, you can pick up the Kindle version for 99 cents. Veterans Day 2014 Charity Challenge: Gone, but Not Forgotten! On Veterans Day 2014, 50 veteran authors will pledge 100% of their print, e-book and audio book royalties to their favorite veteran’s charity. In most cases, these are organizations that assisted the authors personally and they are trying their best to give back. Veterans from each service branch and every conflict period, from Vietnam to even one author deployed to Afghanistan at this moment, are pledging. This diverse collection of works includes New York Times and USA Today Bestsellers and covers most genres. From romance to action-adventure and everything in between, there’s something for every taste here! The ultimate goal of this event is to raise at least $10,000 for the 15+ veterans charities they’re supporting. If you aren’t interested in any of the books available, they have a page set up ranking the money raised for each charity and spotlighting bonus donations here. Whether you contribute to the best performing or the least performing, either way your donation will be put to good use! Veteran’s Day 2014: Gone, but Not Forgotten! Did I get a rejection this week? As it turns out, I didn’t. But I had to check. This is the beauty part about keeping your head down and writing and submitting–you end up forgetting about the rejections. Really. I mean it. True, I haven’t submitted as much this year, mainly because I’m writing longer works that aren’t suitable for the short story market. I do have a couple of things I’d like to get out before the end of the year. 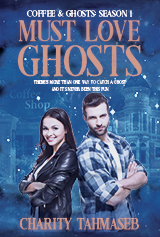 Then, of course, finish up my Coffee & Ghosts serial. So many stories. Not enough time. Be sure to stop back on Tuesday. I’m taking part in a charity drive challenge (more details below). None, but! Stay tuned. On November 11th (Veterans’ Day), I will be participating in the Veteran’s Day 2014: Gone, but Not Forgotten! charity drive challenge. I will be donating all royalties from The Fine Art of Keeping Quiet (print, e-book, audio) to Veterans in the Arts, a local organization that helps veterans to express themselves in a variety of art forms through a progressive program of supportive instruction and collaboration. Stop back on Tuesday for links (because I don’t want you to buy anything now, naturally). Or bookmark Veteran’s Day 2014: Gone, but Not Forgotten! for even more books to buy and organizations to support. It’s hard to complain when your week includes two publications. It’s even harder when the universe lines up those publications just so. This week I saw not one, but two, military-themed publications. In writing news, I am seriously inching my way through my story, as you can see. It’s still a work in progress. I’m almost tempted to go back on the weekly challenge, except I am also learning/teaching myself Adobe InDesign. So, I’m not slacking … yet. And I’m really loving InDesign. Plus, it all contributes to my plan to take over the world. Lawn Mower Serenade ~ still in progress–I am inching my way through this story.